Turkmenistan should adopt national legislation governing police use of force and firearms in accordance with international law. In Turkmenistan, the people are the highest value of the society and the state. The state is responsible for every citizen and creates conditions for free development of the individual, protects the life, honour, dignity and freedom, personal integrity, natural and inalienable rights of the citizen. Each individual has the right to life and liberty and the exercise (of this right). No one can be deprived of the right to life. The right of each person to free life is protected by the state on the basis of law. Article 23 prohibits torture and other forms of cruel, inhuman, or degrading treatment. exercise of rights and freedoms must not violate the rights and freedoms of others, as well as the requirements of morality, law, public order, [or] cause damage to national security. The Constitution does not address national law enforcement agencies. Article 75 makes the Cabinet of Ministers responsible for "measures to ensure and protect the rights and freedoms of citizens, protection of property rights and public order, [and] national security". Law enforcement in Turkmenistan is carried out by national police under the Ministry of the Interior as well as by the Committee for National Security (KNB). 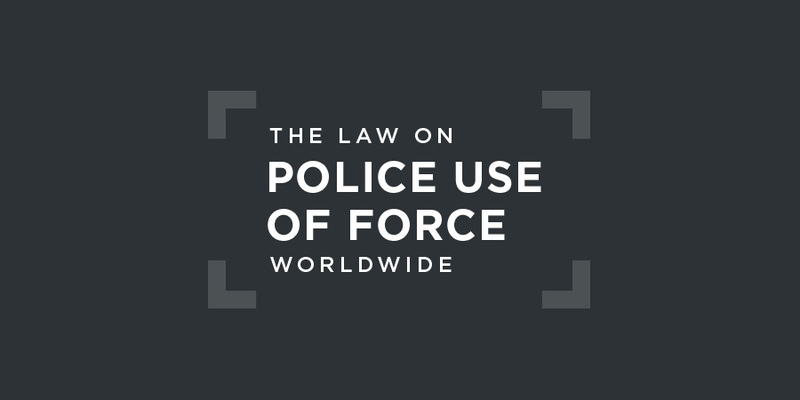 There is not believed to be national legislation in place governing police use of force. In 2012, the Ministry of Interior was supported by the Organization for Security and Co-operation in Europe (OSCE) on the training of the police on protecting human rights and countering terrorism. about consistent reports of torture and ill-treatment of persons deprived of their liberty, including severe beatings and electric shocks, particularly to extract confessions, and that impunity prevails for such acts. There is no regional human rights court with jurisdiction over police use of force in Turkmenistan.